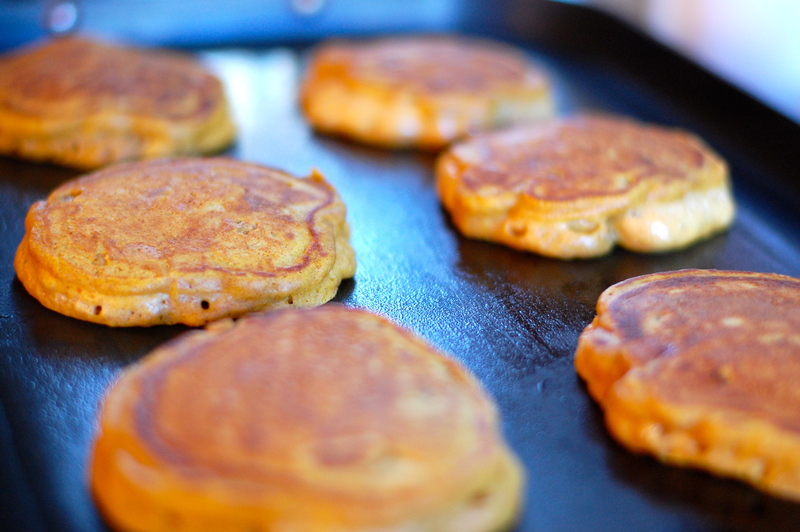 Now I know what to do with leftover pumpkin puree after my annual Thanksgiving baking sprees. This super quick, delicious and of course healthy pumpkin recipe was inspired by a post in Sunset Magazine. The initial results were good, but we couldn’t help but adapt the recipe to make it turn out as delicious as their photo.I happened to have cooked apples on hand the first time I made this, which was even more appealing. This is a perfect post-Thanksgiving breakfast option, and would work great on a weekday morning since it is a one-bowl process. 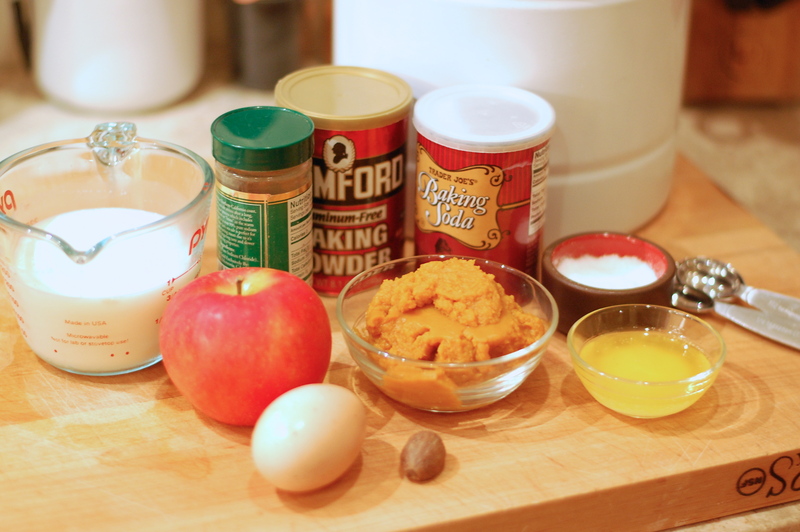 Mix all ingredients together in a bowl and gently mix until remaining lumps are small. Heat griddle/pan, drizzle with a little butter/oil to prevent sticking. Once a small test drop of batter sizzles, spoon out in whatever size you prefer and cook, turning once. 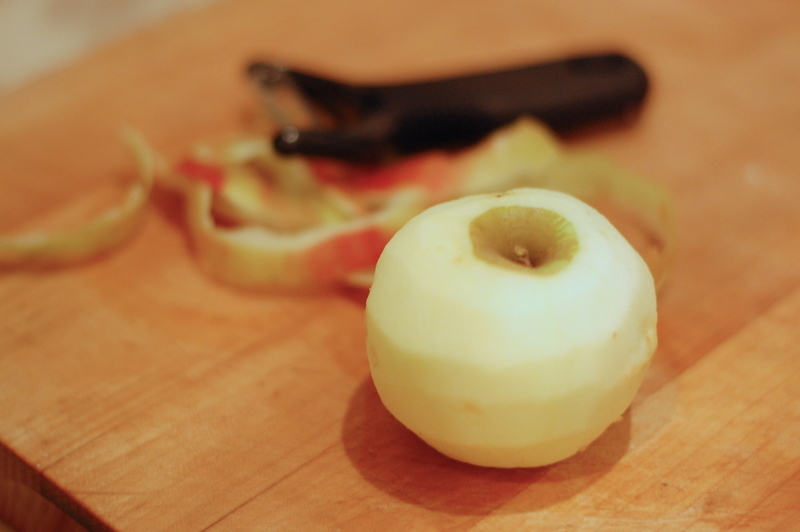 A slower, medium heat cooking process is best to soften the apples. Serve with maple syrup, honey, yogurt or any other topping of choice. 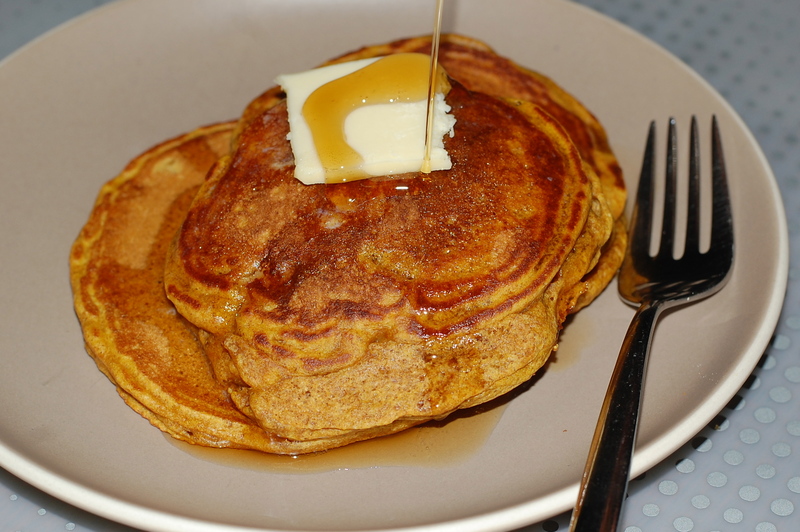 I usually make the Sunset recipe for pumpkin apple pancakes but stumbled onto this recipe this morning. I made it with 1 cup fresh pumpkin puree and a granny smith apple. It’s my absolute new favorite. Thanks for the post! Sounds delish! Looks great! Must try! Brilliant. This is going to be tomorrow’s breakfast. Question though: I have fresh, homemade pumpkin puree. Should I add anything to it (more sugar?) or just follow the recipe as it is? I feel like the canned purees are usually sweeter. How lucky to have fresh pumpkin on hand! You can play with the sweetness as you like. My guess is you don’t need to add more sugar, especially if the pancakes are topped with maple syrup. One caveat about fresh pumpkin: you need to squeeze out the liquid with a cheesecloth or tea towel. 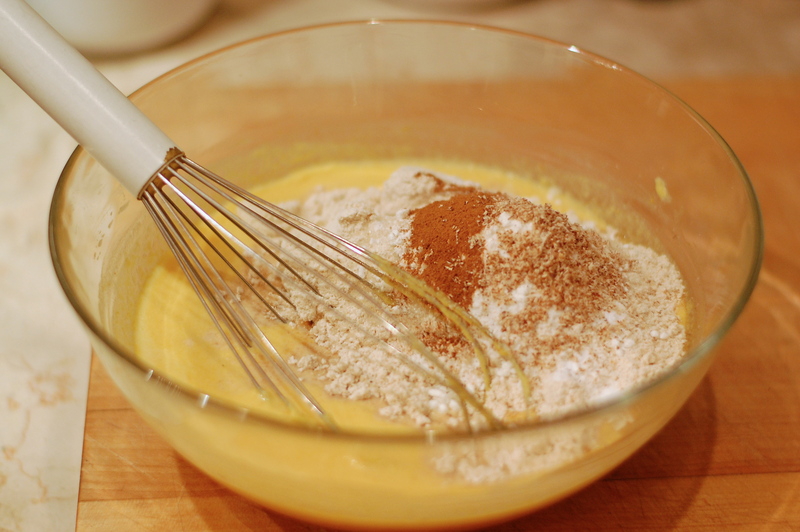 Otherwise, it will make the batter very runny. Let me know how they turn out! I had a pleasure to eat them with cranberry sauce and it was absolutely delicious. Lucky be at the right place and time… Love these family cooks.